Southern Burgundy barge Magnolia offers fresh concepts and contemporary aesthetics especially appealing to the casual traveler. 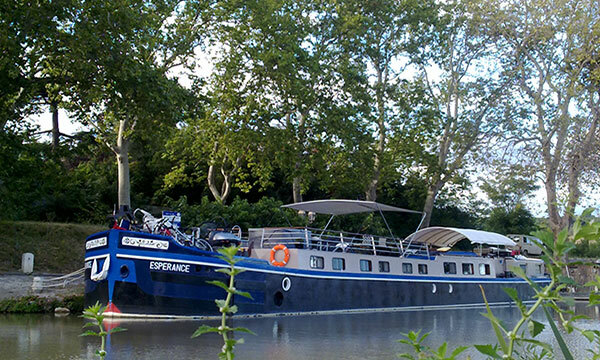 Plying the prestigious Canal de Bougongne in Southern Burgundy, the Magnolia is owned and operated by an experienced French barging couple, Tour Guide Magali and Captain Nicolas Rancelot. Having spent time on his uncle’s barge as a child, Nicolas showed an innate passion for boating, purchasing his first vessel at age 23. In 2001, he decided to crew full time on hotel barges in France. Fate brought Nicolas and Magali together, crewing on the same barge in 2004. Magali, who had been a crew member on luxury barges since 1997, has an established reputation as a hospitality professional. Their backgrounds perfectly suited to the barging lifestyle, this young couple approaches canal cruising with itineraries, amenities, and accommodations appealing to those who enjoy a leisurely pace while on vacation. 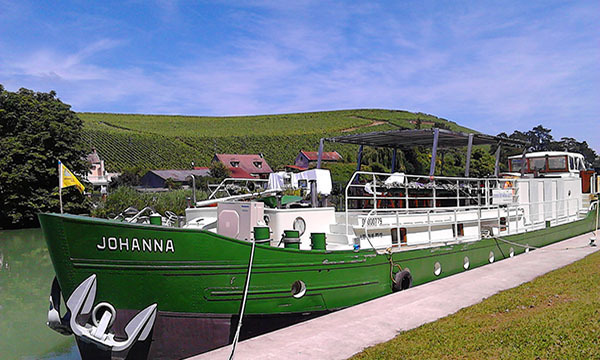 Reflecting their passion for the region’s history, gastronomy, and wines, the barge itself was specifically designed for convivial cruises in congenial comfort. Light, airy, and spacious, the public areas includes a large deck complete with an outdoor “a la plancha” kitchen and hot tub, perfect for socializing and sunbathing. The three cabins are nicely appointed with ample storage, colorful contemporary décor, and fabulous bathrooms. 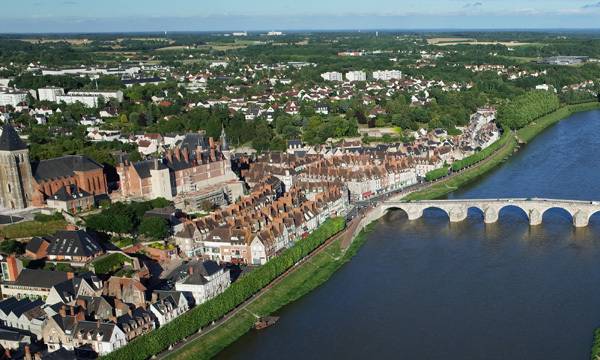 Guided sightseeing to area attractions, vineyards, and preserved landmarks, place emphasis on the “joie de vivre” of the Burgundian lifestyle. Walking and bicycling on the canal’s towpaths beckon to active passengers, while those who wish to relax onboard can enjoy lazy cruising along the most picturesque of France’s scenery. Magali and Nicolas offer a uniquely local dining program with a focus on the region’s authentic cuisine, including dinner in a private French home, truffle hunting, and going to market with Chef. Meals on board highlight seasonally inspired French fare paired with selected Cote d’Or Burgundies from area wineries. Two dinners and two lunches ashore, at the guest’s expense, round out the Magnolia’s many gourmet experiences. In the afternoon, you will be met by a crew member of the Magnolia at the designated meeting point in Dijon. From here, relax as you are chauffeured to the barge moored in Dijon Harbor. A traditional champagne welcome and introduction to owners Nicolas and Magali and the crew awaits you, after which Magnolia cruises through the sunset to the port of Plombieres-les-Dijon. Enjoy your first gourmet dinner onboard. Truffle Hunting + Truffle Lunch = Truffle Passion! This morning your Tour Guide escorts you to l’Or des Valois, a local truffle farm. Meet the hunters -- and their adorable canine companions! -- for whom truffle hunting is their passion. Discover the secrets to finding this “black gold”, and then enjoy a gourmet luncheon featuring delectable recipes made with truffles. Return to Magnolia for a leisurely afternoon cruise. Unwind on deck, walk the towpath, or explore passing villages by bicycle on the manicured towpath. Enjoy cocktail hour before dinner onboard ends this delicious day! The journey continues with a morning cruise. Relax on deck in the hot tub, or explore the countryside via bicycle. 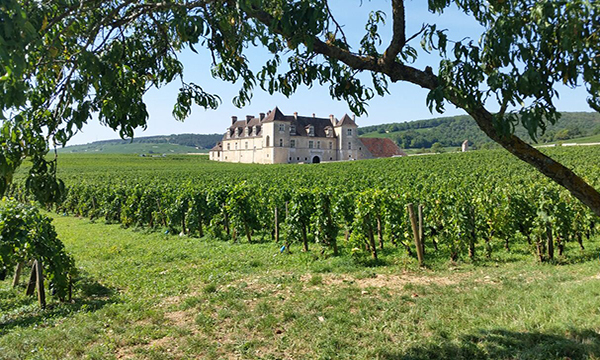 This afternoon, your Tour Guide accompanies you to Clos de Vougeot, where Cistercian monks made wine in the 12th century. Explore the preserved presses on which these iconic Burgundian vintages were made. Then it’s back to present day pleasures with a winetasting in Vosne-Romanée at the family domaine Armelle Rion. Tonight's dinner, at your expense, is at Lock 34, an authentic lock house transformed into welcoming auberge. The town of Dijon offers a pleasurable assault of the senses. After a walking tour of the historical city core, you’ll mingle with the locals as you shop with Chef at "Les Halles”, a lively food market. Choose the ingredients for lunch, and then prepare it "à la plancha” in Magnolia’s outdoor kitchen! An afternoon cruise is the perfect time to explore the towpath by bicycle or on foot. Tonight's dinner, at your expense, is at Abbaye de la Bussière. A former Cistercian monastery, the Abbaye is now a hotel offering classic cuisine at its esteemed bistro. Explore the towpath with a gentle pedal or a leisurely stroll during this morning's cruise deeper into the Ouche Valley. 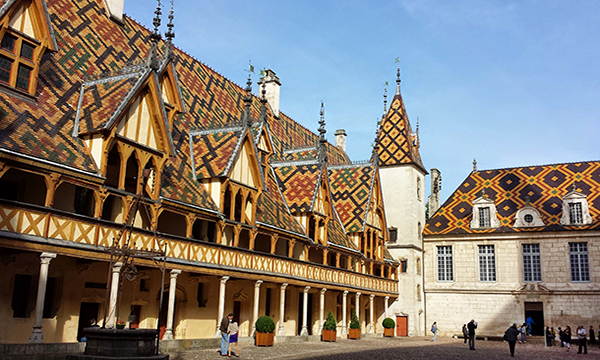 After lunch at a canal side bistro, at your expense, a visit to the charming town of Beaune reveals the Hospice de Beaune, preserved Medieval hospital built in the 15th century. Afterwards, browse the adorable shops in the pedestrian area. Tonight’s dinner is one of the highlights of the cruise, as guests will be treated to a Burgundian feast in the charming French country home of Magali's parents, Alain and Joelle. This morning, your Tour Guide takes you to Chateauneuf-en-Auxois, an ancient hilltop village overlooking the canal. A tour of the chateau reveals architectural details and timeworn relics which speak to the deprivations and decadence so prevalent in France’s history. After lunch in the village, at your expense, return to the barge for an afternoon cruise. Take a bicycle ride along the towpath, or simply laze on deck to admire the scenery. Back onboard Magnolia, Chef is busy preparing the Captain’s Dinner, ending your cruise in style. After breakfast, you will be chauffeured to the designated drop off point in Dijon. “One of the best ever experiences we have ever had. Captain Nicolas is a great guy. Helping us on and off, giving us bikes, telling us about his barge, taking us on an early morning trip to get baked goods, everything made our trip pleasurable. Tour Guide Magali is a sweetheart. Her excursions were well-planned and very informative without being too long or giving us too much information. The dinner at her parents’ home was very special and we are glad they added that feature. Chef Joseph was, in our opinion, a world class chef. We had some meals which were the best we have ever had. Our cabin was great. The bed was comfortable and the bathroom was very nice. Don’t ever let go of this barge. Between you and them you give your clients a wonderful experience.